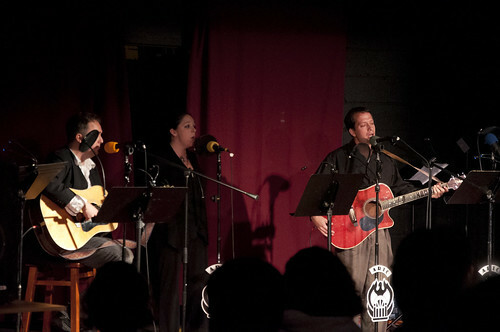 In this installment we bring you our appearance at the Academy Theatre in October 2010 where we performed The Last Dragon to Avondale along with The House Across the Way, featuring music by Brad Weage and Paul Mercer, and Rory Rammer, Space Marshal: The Colour of the Shadow of the Outsider Over the Mountains of Madness Out of Space. 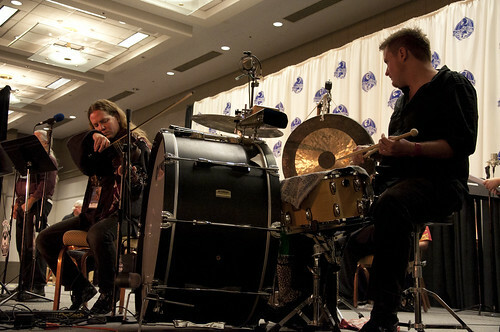 This performance was a benefit for Georgia Aquarium (it was one of our first benefit performances, in fact!) 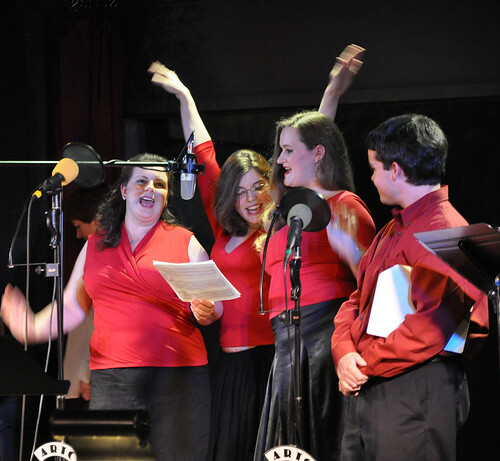 and also included special musical guest Rooke! Check out all the pictures on our Flickr album. In 2010 we debuted our Partners in Imagination program, which strives to harness the power of multiple non-profit groups into something stronger by raising awareness amongst our various audiences and maybe even a little money as well. Psst…there’s not a lot of money in this…at least not yet. We had originally wanted to do this benefit for Georgia Aquarium with Twenty Thousand Leagues Under the Sea, but it became apparent very quickly that the script wouldn’t be ready in time, so we switched gears to The Last Dragon to Avondale. We felt that its focus on an “endangered species” made it a great fit. 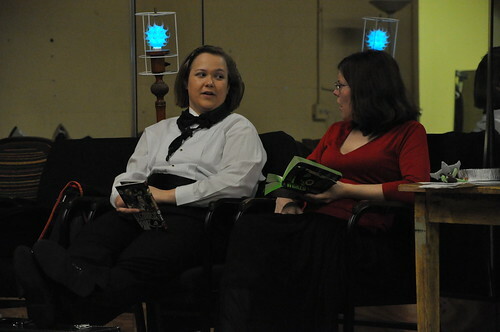 Plus, we’d been performing at the Academy Theatre in Avondale Estates for a while at this point and to NOT perform this piece there would have been a crime against … well, a crime against something. Dragons, maybe. We got a good turnout, too! We also had the privilege of working with some amazing musicians on this piece. There was Brad Weage. 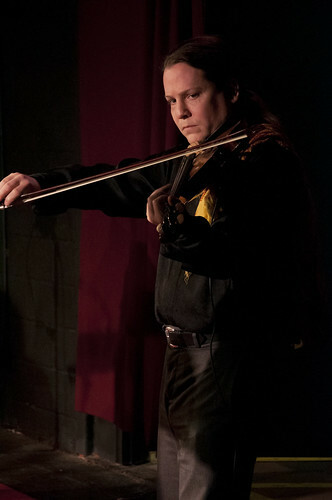 Paul Mercer on violin. 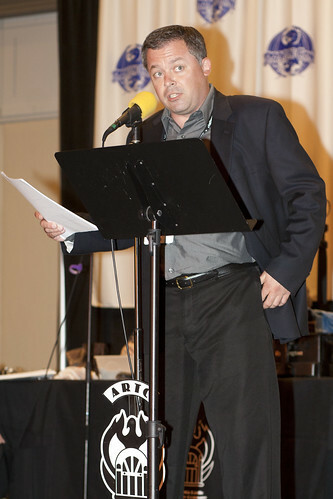 This was Paul’s first appearance with us! 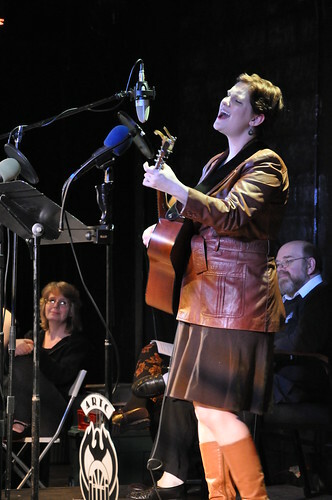 And our special musical guest, Rooke! 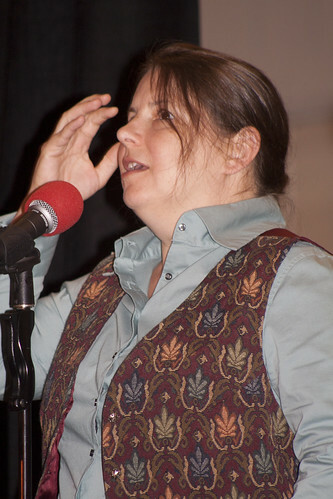 Rooke has been around since the late 1980s and play a kind of (in their words) acid folk. We couldn’t quite get the whole band for this show, but we were thrilled to get Steven Sams, David Cater, and Keena Graham! Rooke actually released an album of the recordings from this performance, so go get some great music! 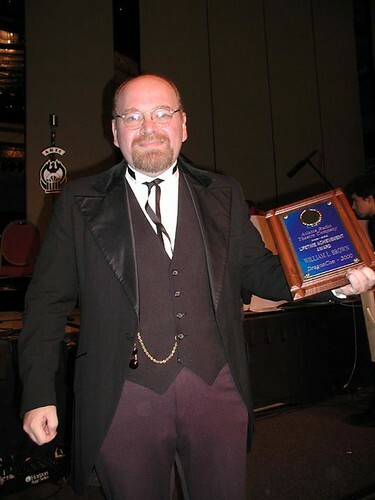 In this installment we bring you our appearance at Dragon Con 2010 (Sunday night edition) where we presented Time and Time Again by H. Beam Piper, adapted by Ron N. Butler and At the Mountains of Madness by H. P. Lovecraft, adapted by Thomas E. Fuller, and featuring music by The Ghosts Project. Check out all the pictures on our Flickr album. It’s a short update this week, folks, as I am flying out to Kansas City, MO, later today to attend the HEAR Now Festival. 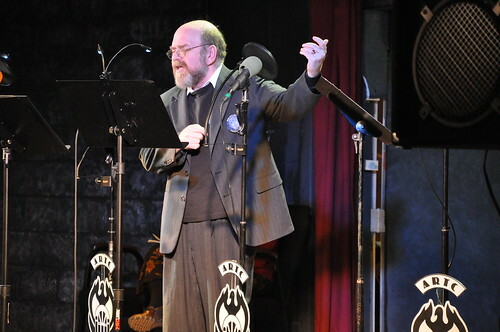 But this was a momentous show because it marked the beginning of our long-standing relationship with The Ghosts Project, who have since gone on to play with us on several other productions, including The Shadow Over Innsmouth, The Dunwich Horror, The Island of Dr. Moreau, and The Rats in the Walls! 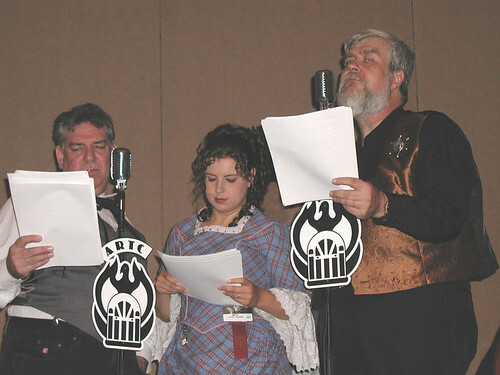 We’re still on a Dragon Con high (or still getting over con crud, your choice), so this week we bring you the 2005 edition! Hey, they’re our biggest audiences of the year, I think we can be forgiven for spending some extra time on these great fans! If there’s one thing we know for sure at ARTC it’s that we’re nothing without our writers, and we’ve been very lucky to have worked with some of the best. 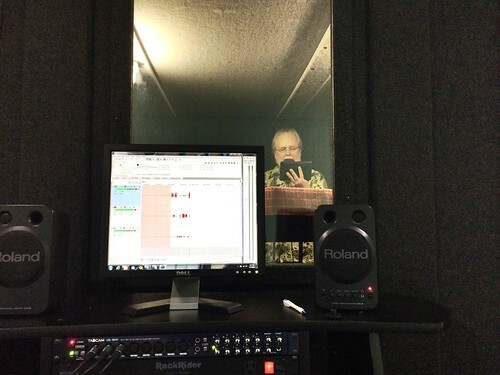 Writing audio drama isn’t done much anymore, and finding someone who can write it well is uncommon. We have an extensive workshopping process to make sure that our scripts are their very best before we present them to our listening audience. 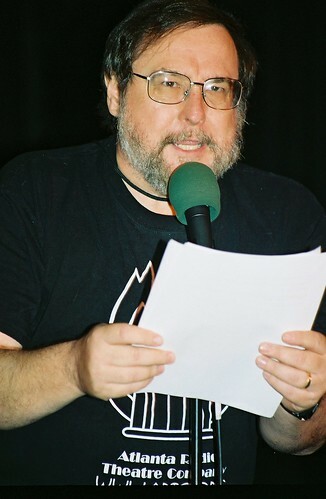 At this Dragon Con, we featured several of our newer writers, who have since gone on to write some really incredible stuff! 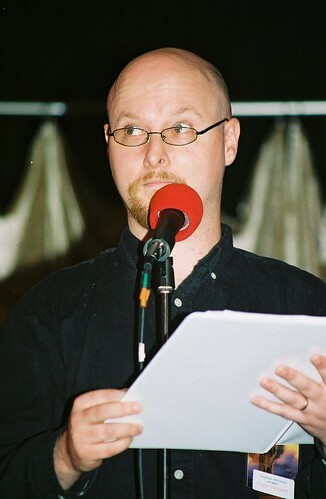 Jonathan Strickland has written a lot, but for this performance we featured an episode from his Mildly Exciting Tales of Astonishment (META) series. Sketch MacQuinor seems to write all the time, although sometimes he only writes it in his head. 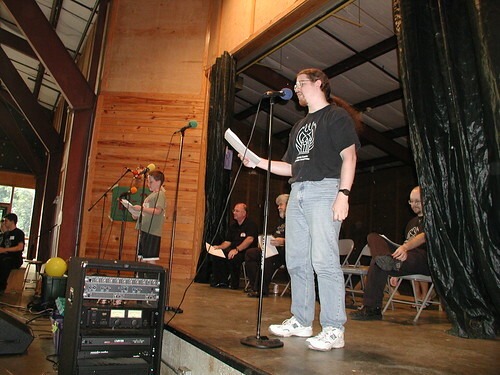 For this performance we showcased the Brotherhood of Damn Sassy Mutants (work out that initialism on your own, kids), but he’s also created The Game is Afoot!, Blue Hannukchristmas Carol, and lots of other stuff too numerous to mention here. 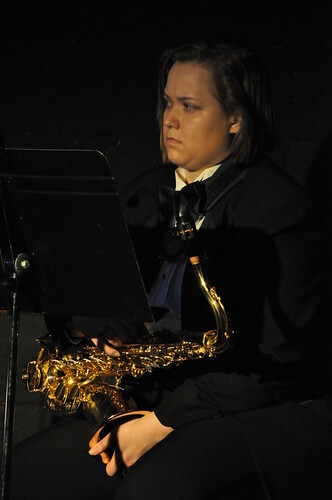 We also performed Rory Rammer, Space Marshal and The Adventure of Brave Ragnar, but somehow managed not to get a picture of Ron N. Butler or Kelley S. Ceccato this year. Brad Strickland disapproves of this egregious oversight. And after the writing is done, it’s time for the rest of the team to swing into action! 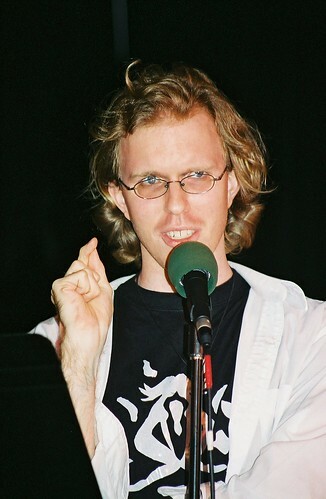 Vocal warmups are vital to a good performance. Here you can see the ‘huddle’ style. 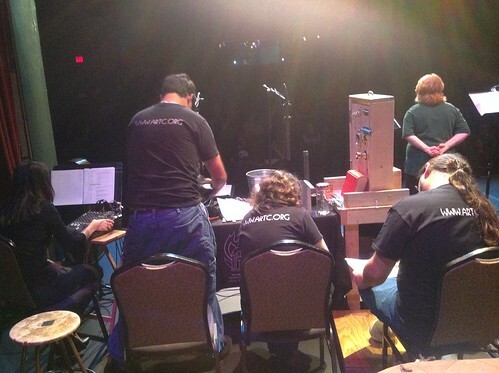 Music and tech work closely together to ensure everything is plugged in and functional. Foley gets into the mix. It’s not a radio show without Foley! We still aren’t sure what Jack Mayfield is looking at in this picture. 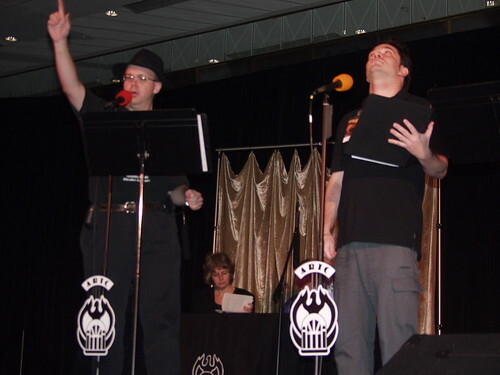 We’ll be back next week with part 2 of Dragon Con 2005! 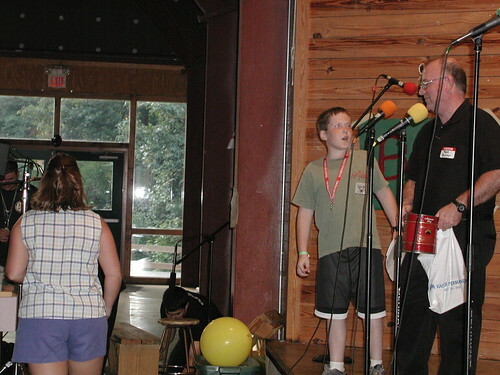 In 2002 we were privileged to perform at Camp Wak-N-Hak, a summer camp for children with cystic fibrosis run by Camp Twin Lakes. 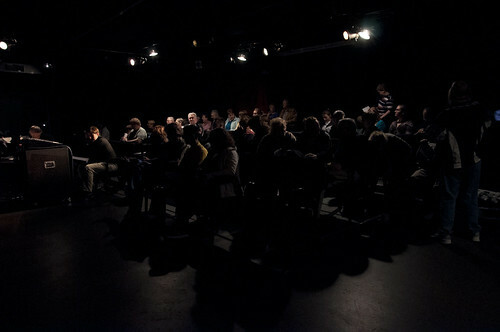 This was a richly rewarding performance for us, and the kids really got into it. What did we perform? Well, that’s been lost to the sands of time, but we had a blast and that’s what’s really important. Acoustically, this spacious basketball court was challenging with its high ceilings and hard walls and floor, but once this great audience got seated they soaked up the audio extremely well! 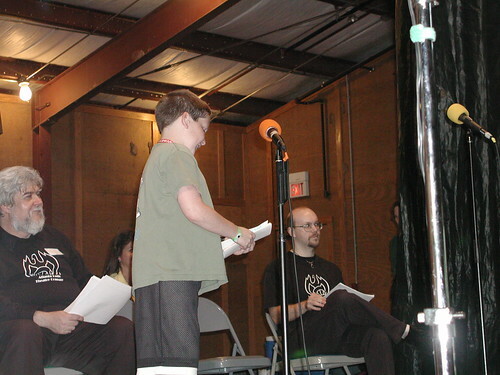 Thomas Fuller and David Benedict look on as Colin Butler addresses the microphone. 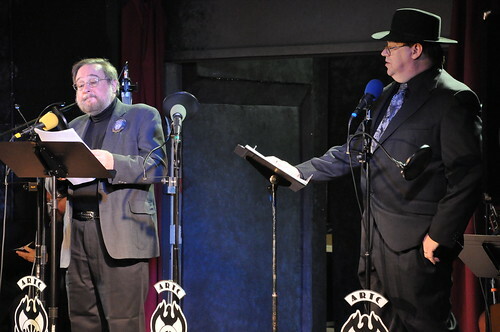 It’s a pretty good bet that we did an episode of Rory Rammer, Space Marshal. 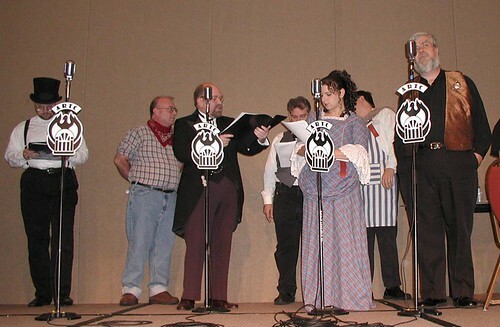 Phil Carter and Colin Butler perform as the rest of the cast looks on. The stage setup was extremely nice. We perform in a wide variety of venues and often don’t get to see the actual performance space until we arrive to set up. We’ve worked around some rather interesting challenges with other people’s sets, cramped stage space, low doorways leading onto the stage itself, and a lack of any discernable stage whatsoever. 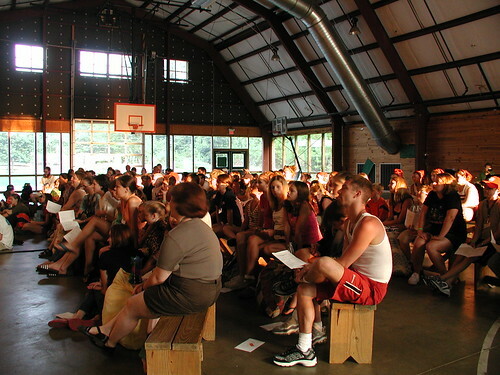 But Camp Wak-N-Hak had a quality, picturesque space that it was a pleasure to perform on! 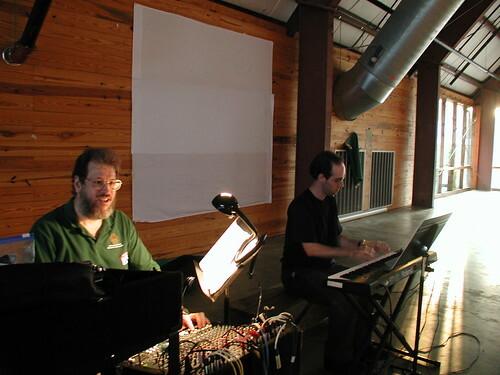 William Alan Ritch and Joel Abbott on the technical side of the show. One challenge we sometimes face is placement of the tech. A lot of theatres rely on monitors or booths that are off to the side. 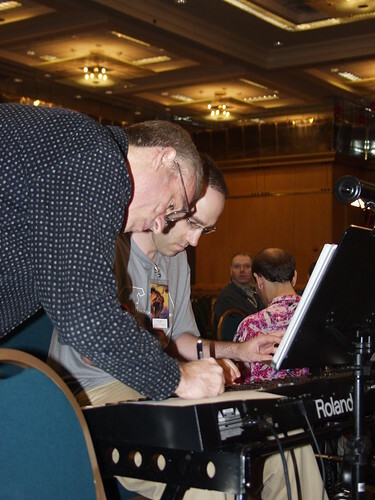 Some are so small that they don’t have a designated place for tech at all – they do everything with vocal projection and don’t have any sound cues at all. 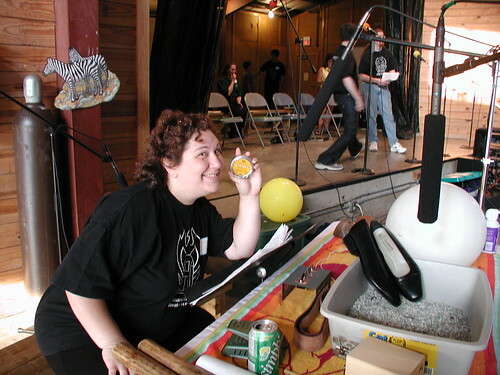 We do as much live Foley as we can in a show, but we also run recorded SFX when necessary and our experience is that it sounds weird when you play a recorded sound to go with an unamplified voice in a radio play setting. So we always just set up the whole shebang every time and being able to be centered on the stage really helps the techs get a good mix. Lili at the Foley table. 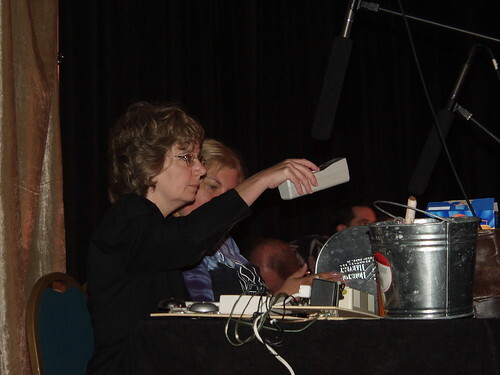 Speaking of live Foley, here we see master Foley artist Lili showing off the tools of her trade. 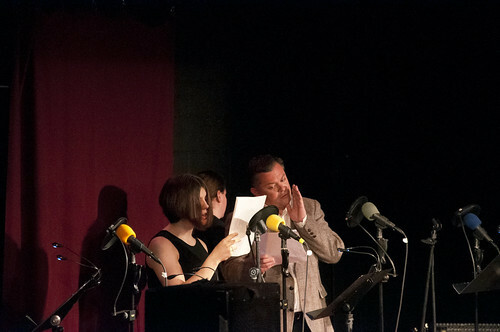 Foley is one of the most charismatic parts of radio theatre and we love to showcase it. We were lucky to be able to have the table up a little closer to the front for this show. Foley is awesome to see, but the space they take up and the sensitivity of the microphones we use usually make placement a bit of a strategic decision. 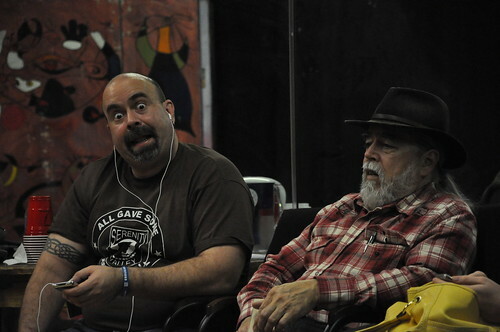 Ron Butler and Colin Butler in a bit of pre-show prep. Big thanks to Ron Butler for helping set up this amazing show! You can see the rest of the pictures on our Flickr album!